Please join us as The Chestnut Hill Gallery hosts a solo exhibition of paintings by Tom Brady. In the Tom Brady's upcoming exhibition Life's Moments, the Chestnut Hill Gallery artist's unmistakable style is in full bloom, abstracted scenes of everyday life, thick on the surface with unusual exhilarating colors. Large paintings transformed from onsite pastel drawings, this new work resonates with his previous representations of the working class. 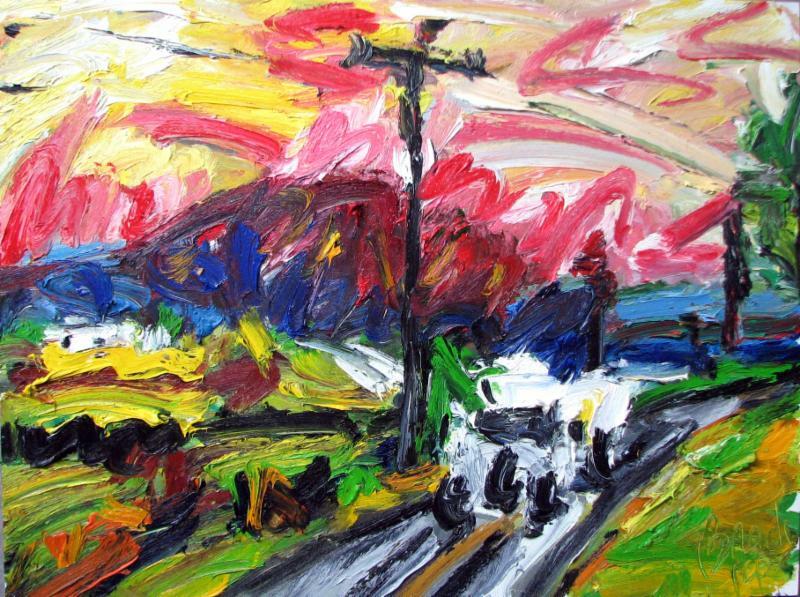 Brady's style falls in a murky place somewhere within the vein of Impressionism, Expressionism, and Realism. Although these are three very different styles of paintings, all with a deep art historical context, Brady seems to be able to pick and choose aspects of each style and utilize it in his own work successfully. But perhaps the most exciting thing about Brady's work is the time one needs to spend with it; the body of work is abstract and visually dynamic, challenging the viewer in ways that many artists do not. Tom Brady, an MFA graduate of Tyler School of Art, has been showing with Borrelli's Chestnut Hill Gallery for two years. A renowned painter originally from the Boston area, Brady's work is highly sought after and is part of many museum and corporate collections including the Mead Art Museum of Amherst College, Independence Blue Cross, Widener University School of Law, and Bell Atlantic. The artist will join the Chestnut Hill Gallery for an opening reception November 14th, from 6 to 8 pm. All works will be on display and for sale through November 24th.